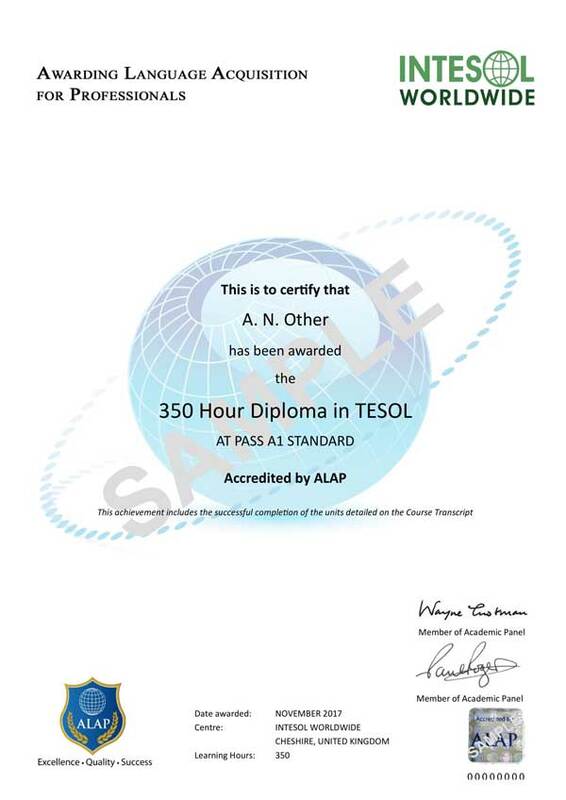 INTESOL offers a 350 hour TESOL course which is an intensive program for the aspiring EFL teachers looking for a future career with full of opportunities and better prospects. The course is dedicated to educate the teachers with modern teaching techniques and methodologies that makes learning much more goal oriented and effective. Alongside the EFL teaching guidance, the candidate will receive a certificate on completion of course which will be recognized globally. It will not only increase credibility of an educator but also help them to get started with a global career. · Are native speakers the best ESOL teachers? The 350 hour Online TEFL Course is an intensive 12 month guidance for the EFL teaching aspirants looking for dynamic opportunity in the field of TEFL in near future. The course features complete knowledge and support for the trainee about EFL teaching methodologies required for creating a mark in this professional world. Any graduate in any discipline may apply for the course. 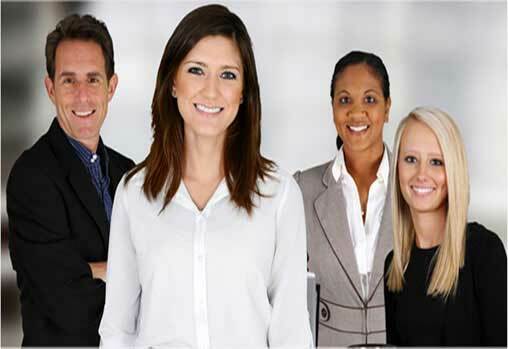 The course is effectively conducted online and it is flexible enough for anyone to pursue being remain involved in their current profession. You may avail this course for a reasonable course fee of 40,000 INR or 585 USD along with tutor guidance and course material. Once you complete the course successfully, you will be eligible for dual certificate those will be awarded by INTESOL, the institute itself and ALAP, the accreditation body. The certificates are really handy to achieve a global career with superlative credibility as the certificates are globally recognized. Along with the certificate, you will receive a transcript from ALAP which is the permanent academic report. 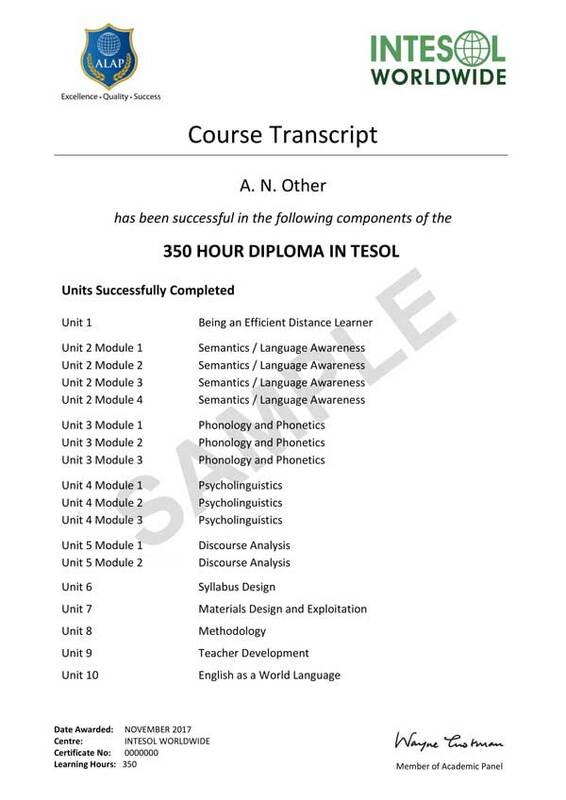 You can get the transcript only with teacher training course featured by INTESOL. No other institute globally features transcript.